Apple’s iOS app development platform has been through the long way of success and still does not seem to slow down the path. Every time with the new version of Apple’s operating system, there comes the new challenges and capabilities for the iOS developers to face. Mainly, these challenges are around the functionalities of the new versions. Even, Apple introduces 4000 new APIs for developers to give the benefits of and execute in the application during development. There can be no second thoughts for expressing the difficulty of the mobile app development for any platforms because every app has unique functionalities, different platforms, design, and architectural considerations. No doubt, to attract the audiences, the iOS developers need to work hard and overcome the roadblocks in between the road of success. Let’s check out what challenges do the developers faces during the iOS app development. Beta version of a mobile app is the best way to test your mobile app development. This enables your user to check the functionalities and recognize the bugs and failure situations specific to the app. Beta launch will enable you to work out the bugs and will check the smoothness of the mobile app flow. Remember once the word for the app is out, you may get only one chance to captivate the users. There are various different types of devices that Apple releases every year including iPads and iPhones. It is necessary to make sure that your app works smoothly on every type of devices. Certainly, it is easy to battle with the compatibility of iOS, unlike Android. But still, it is a powerful process of iOS app development. The toughest part is to decide which version would support your mobile app. Remember – it is important to test your app with TaaS products to identify the issues and bugs. Another big issue with the iOS app development is managing the memory as the Apple devices don’t come with the garbage collection functionalities. So, with this reason, one can have the risk of getting terminated, if it becomes the source control. Even if you are thinking of developing the app for only one version, then also you cannot ignore the fact that many users use the same versions on different devices. Looking towards the best popular games are of several gigabytes and require a large amount of the memory to store. The same problem is faced with the devices of two generations old working on the latest versions. So for these devices, the games would not be supported. Therefore, you need to be very cautious about what your applications need if you want to reach to the appropriate audiences. I agree that optimizing is not an easy task. Even companies like Google are not sure enough that their apps are battery-friendly. Since then the task is ongoing. In some cases, to handle old tasks, you need to invent new processes. It’s not important that your users use the same speed as you do. There are chances that they use the slow version of the network. Though not all the app developers pay attention at this point, it is a matter to pay concerns to your app if it draws rich media like video application from the internet. It is important for your application to pass the test performed by Network Link Conditioners. It helps you with getting the idea of stimulating. Apple’s App store has some rules and regulations to be followed. So, read out all the rules before implementing your mobile app development. This would help your app to get approved in the app store. This can also save your time and help you through the different investment challenges. There are about approx. 2 million apps in the app store. So, definitely, you are not the one who is facing this issue to enter the world of an app store. If you start understanding the reason behind the rejection of the numerous apps, you will find several ones. Your app also can be rejected for some simple rule violation. Remember, Apple’s app store rules frequently change, so be sure to read and get updated with the new rules for your app. The above-mentioned challenges are the one from the list and not the whole list. The developers face many challenges like these. To handle the challenges, developers need to be more mature for solving with the minimum investments and compromising the final products. 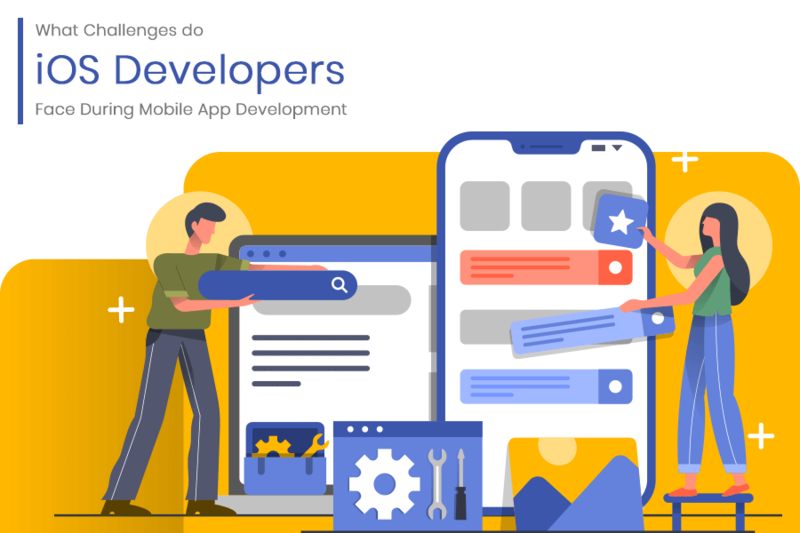 If there are some other challenges you are facing during your mobile app development, you can share it with us adding your views in the comment section below. Newer How Social Media Apps Influenced With Augmented Reality?